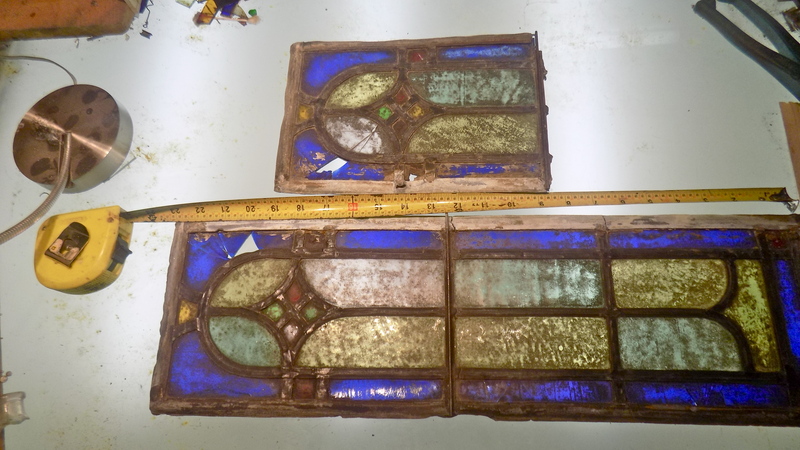 I ran into an ad for “Old art glass” on Craig’sList…It was posted by a guy who had recently bought an old commercial building in Franklintown…the building had been the home of Oxford Art Glass, a stained glass production shop, which closed in the 70’s. The original owner likely died while he was in the middle of several secular and sacred window projects. There was half-finished work all over the shop. I came late to the party, so the pile was pretty well picked-over by the time I got there. I managed to score a small pile (large scraps mostly with over 50 different shades of blue, a good pile of painted scrap, and some bigger pieces of old clear art glass), along with some (finished) damaged panels. 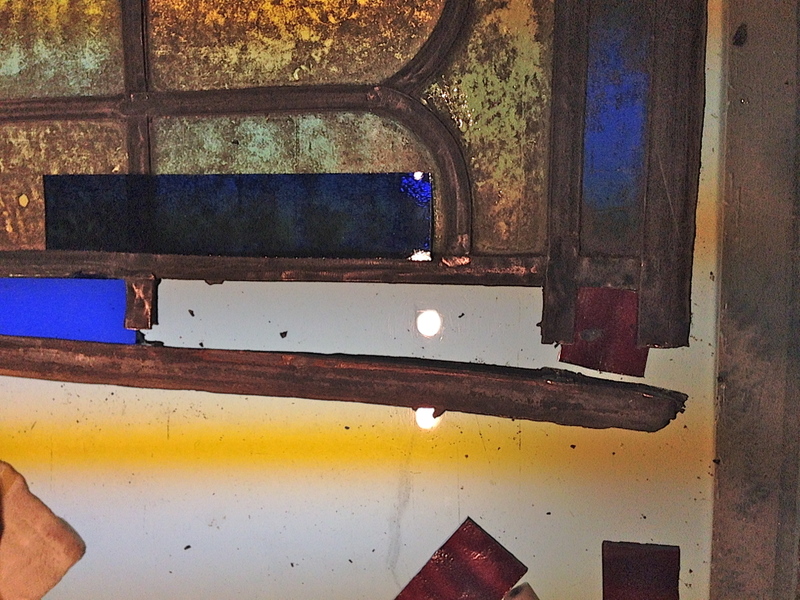 Here is an example of the swag: it is a damaged pair of patinated glass panels, about 6×18″. Pretty useless in their current state. 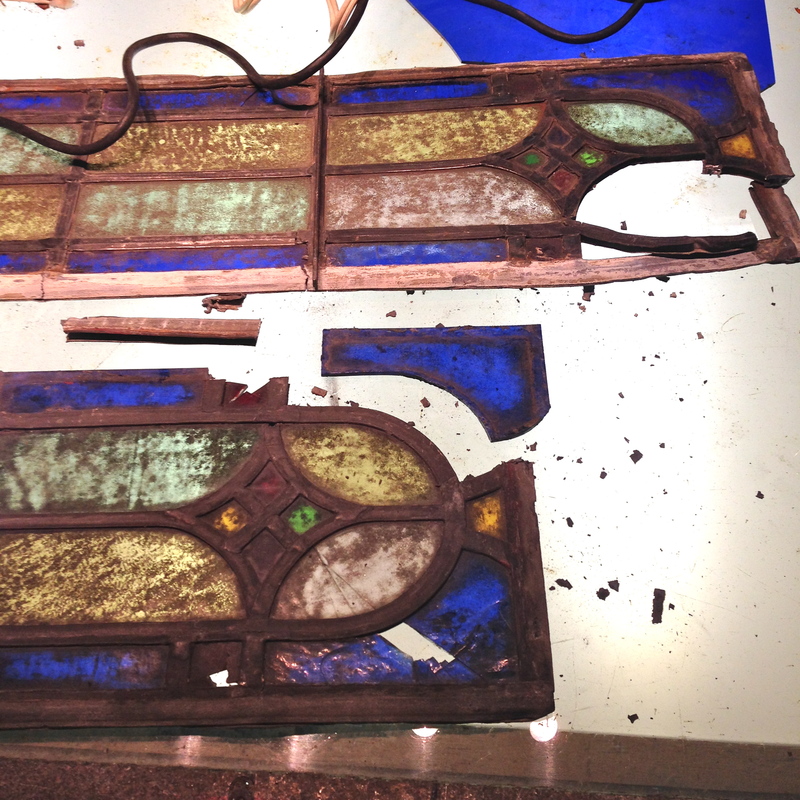 Luckily, there was enough undamaged glass in the pair to allow for one good piece to emerge. Here is the damaged pair. The ‘dirt’ covering the glass is an oil paint aging patina, applied with a fairly heavy hand. 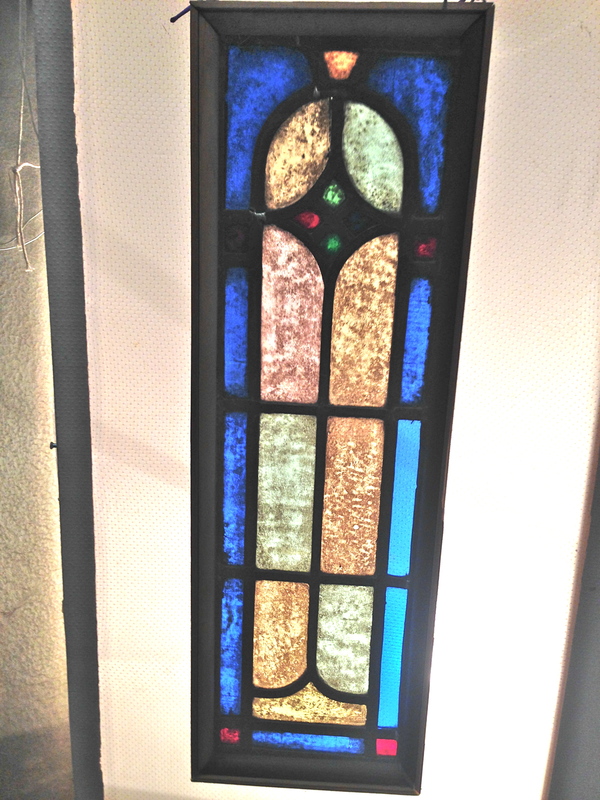 Using some of the salvaged blue glass, the picture was made whole. I will leave the patina off; there is no real need to hide the repair. Close enough!With a simple wood frame to give support and stability, this sweet little panel is again ready to let the light in!